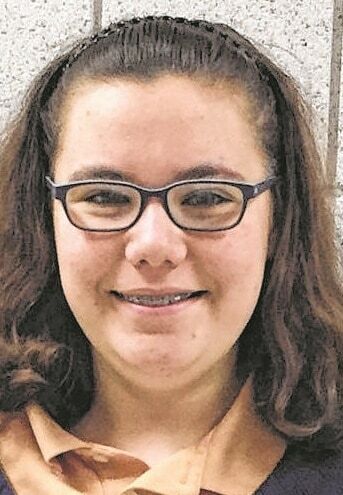 PORT CLINTON — Galion’s Sara Misura advanced to the district bowling tournament during sectional tournament action Friday at Star Lanes at the Harbor in Port Clinton. The girls team bowled Friday, the boys Saturday, also at Star Lanes. Misura’s three-game total of 568 was the fifth-best of the tournament and good enough to keep her season going for at least one more week. She will bowl Friday at Interstate Lanes in Rossford. Galion was eighth in the team standings, with a score of 2,758. The top four teams qualified for districts. Results for the girls sectional tournament were: 1. Willard-3,499; 2. Vermilion-3,412; 3. Huron-3,308; 4. Port Clinton-3,271; 5. Edison-3,119; 6. Shelby-3,072; 7. Lakota-2,849; 8. Crestline-2,838; 9. GALION-2,758; 10. Clyde-2,757; 11. Woodmore-2,649; 12. Fostoria-no team score, bowled as individuals. Galion bowled a three-game combined series of 632, 669 and 645 to head into the six-game Baker series with a score of 1,946. In the Baker series, the Lady Tigers bowled games of 133, 150, 127, 117, 155 and 130 for a total of 812 pins to bring their total score to 2,758 and finishing in ninth place of 12 total teams. The high series of the day for Galion was rolled by Sara Misura with a 568. Misura’s 568 was fifth overall at sectionals and qualified her for the Northwest Districts tournament as the top four series were rolled by girls on teams that qualified. Other Lady Tigers series and placement on the day were: Stevi Ness-424, 30th; Brooklyn Potter-386, 41st; Abby Barre-216, 54th; Macy Eicher-156, 57th; Lexi Hadamuscin-99, 60th. Results for the boys sectional tournament were: 1. Woodmore-4,247; 2. Vermilion-3,950; 3. Willard-3,895; 4. Lexington-3,881; 5. Port Clinton-3,814; 6. Edison-3,683; 7. Clyde-3,654; 8. Huron-3,650; 9. Fostoria-3,638; 10. GALION-3,301; 11. Crestline-3,230; 12. St.Joesph Central Catholic-3,166; 13. Lakota-2,904; 14. Shelby-2,606. The Tigers rolled a combined three-game series of 775, 894 and 729 to move along to the Baker series with a total of 2,389 pins. Galion would bowl Baker games of 156, 137, 155, 166, 150 and 139 to tack on an additional 903 to their score and finish 10th overall with 3,301. Austin Rinehart had the high series of the day for Galion with a 550, good for 27th overall. Other scores and placement for Galion were: Dylan Ruth-519, 35th; Aaron Stewart-473, 46th; Jacob Lear-434, 55th; David Riddle-422, 58th. No bowler from the boys team advanced to the Northwest District tournament. Congratulations to the Galion Tigers bowling squads on a successful first year! Best of luck to Sara Misura at districts on Friday!